Kaya Leitner ’19, Outreach Manager for Inklings, is going into her third year working for the school paper. 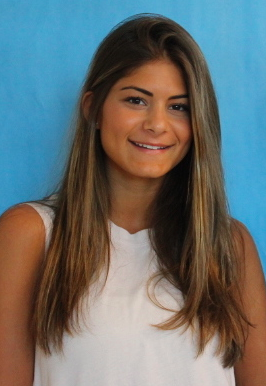 Leitner began her career as a sophomore in Intro to Journalism. Leitner based her decision to take the course on behalf of her guidance counselor’s recommendation and immediately fell into a state of frenzy, “I fell in love and knew I wanted to make something out of it: to make it more than just a class,” Leitner said. Outside of Inklings, Leitner is outgoing and full of enthusiasm. As a senior at Staples, her time is bittersweet, as the year is not only nerve racking with college on the horizon, but also the end of an era. Though she is sad to leave behind all of the memories, Leitner is very excited to “bond with the grade” and utilize the privileges that come with being a senior.